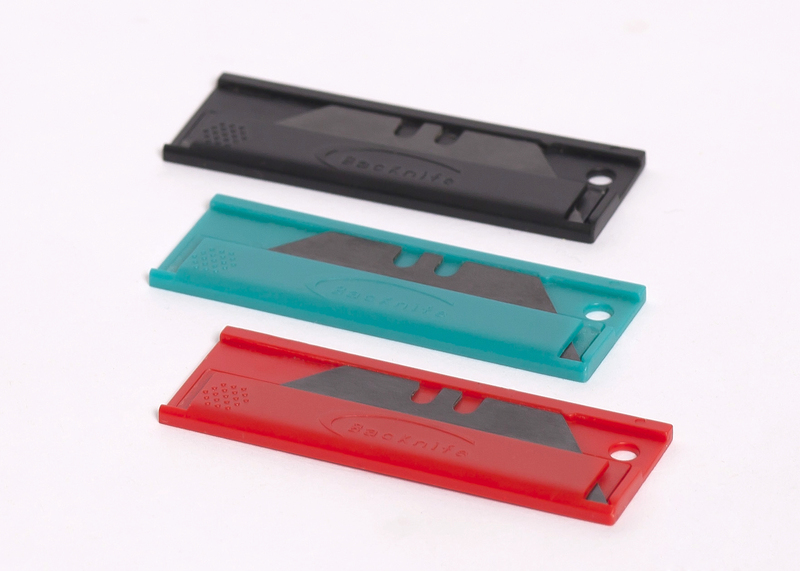 1 Backknife utility blade holder & 1 black ceramic blade included. 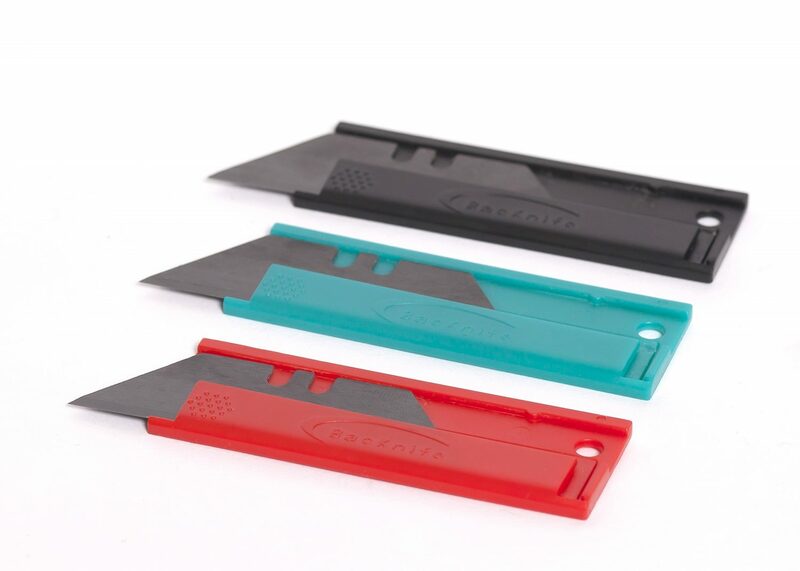 A modern ceramic utility blade design provides the smallest and lightest utility knife. Ideal for everyday carry as a keychain knife, wallet, zipper pull, or as part of emergency kit. 100% rust proof in salt water makes this ideal for boating or fishing activities such as a fishing line cutter. 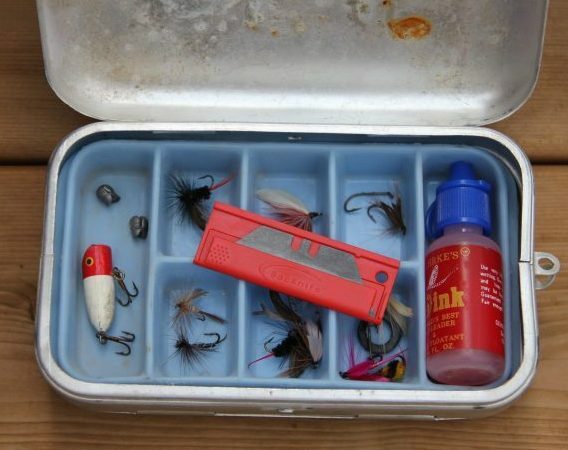 A ceramic edge will not curl as a steel edge will when cutting tough material such as kevlar or the new ultra high density polyethylene ropes and fishing lines now in use. 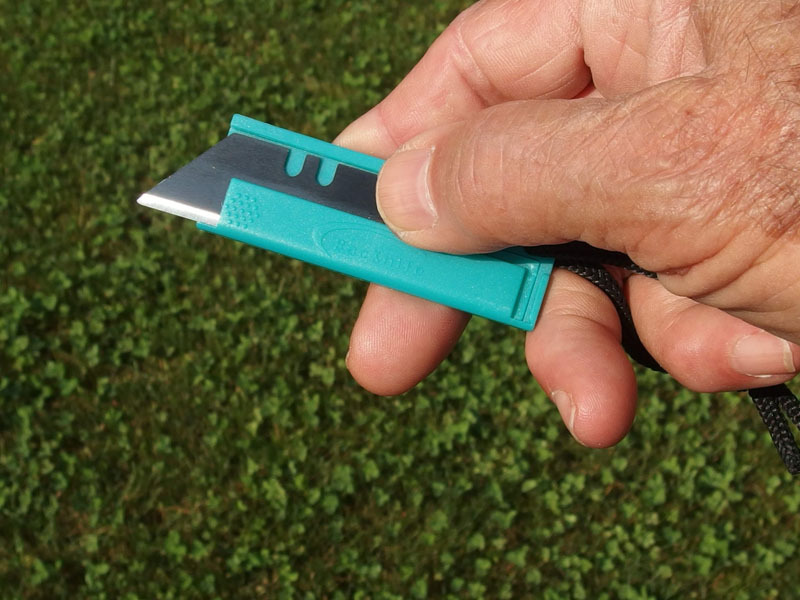 The overall size and lightness makes it possible to have the micro knife available where a full sized utility knife would not. While the standard white Zirconium Dioxide (ZiO2) blades offer great improvements over steel blades we have found that the more expensive black “carbonized” ceramic is worth the extra production costs due to increase hardness, strength and sharpness! 1) The ceramic utility blade is the same size as the universally used Stanley blades with the exception that it is slightly thicker. (.8mm compared with .6mm for steel blades) Yes a steel utility blade will fit. The black ceramic blade is made by carbonizing the white blade in a second sintering operation. A much higher production cost, but results in a harder and sharper blade. 2) Testing has shown that in cutting abrasive materials such as cardboard the ceramic utility blade will retain it’s edge about 20 times longer. 3) The Zirconium Dioxide ceramic utility blade will cut Kevlar, and other tough materials such as the new “super ropes” and fishing lines better than steel as the edge does not curl and create burrs like steel blades. Total length 2.5” with ceramic blade inside. This beautiful little gem of a blade is perfect for backpacking. 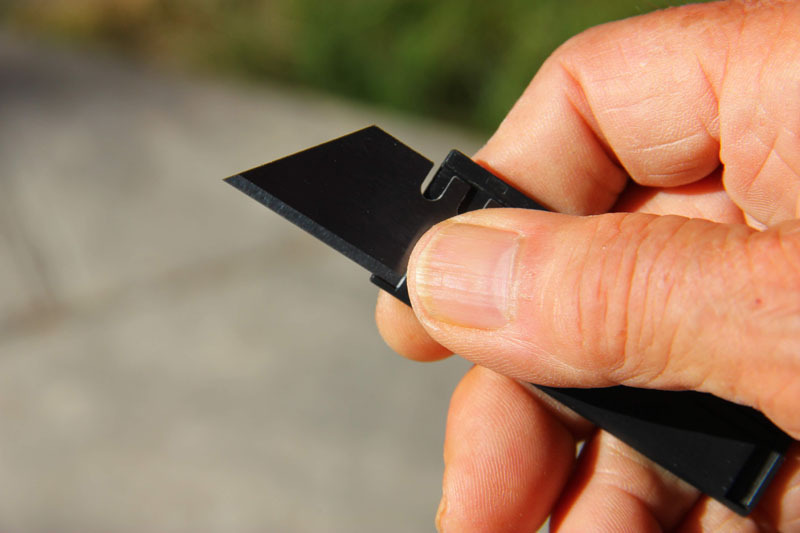 It is super sharp, rugged enough, tiny, and comes in at just over 6 grams. As an ultralight backpacker this is the ultimate blade for my kit. It will be coming along with me as I hike the Continental Divide Trail this summer. Hang it on my keychain for edc. Handy little tool when I need it. Otherwise it’s just… there. No one notices it. The black blade is wicked sharp! Hasn’t chipped or nicked yet (knock on wood), after using it mostly as a box cutter/letter opener/tag remover.